Laurie Puhn is a recognized Harvard expert in relationship communications, family law and couples mediation. She provides regular commentary for media outlets on hot topics, celebrity divorce and child custody cases and contemporary relationship trends. Laurie Puhn is an experienced spokesperson. She represented T-Mobile in the media for multiple marketing campaigns. Ms. Puhn represented ViaCord(r) of PerkinElmer as their relationship expert for which she authored their community blog. She is available to be a spokesperson or relationship communications expert for a company whose corporate culture embraces respect and dignity for all. As the former host of the weekly TV show "i on New York with Laurie Puhn" on WPXN-IONTV, Laurie is experienced at interviewing notable celebrities, politicians, corporate CEO's and community leaders. You can enrich the quality of your event with Laurie as your host. View the short TV clip of Laurie's interviews with Cheryl Ladd, Carson Kressley, Congressman Charles Rangel and others. Recently, Laurie hosted the annual Bryant Park, Word for Word Event in New York where she interviewed William Bratton, former New York Police Commissioner and Zach Tumin of Harvard Kennedy School, authors of the new book "Collaborate or Perish." 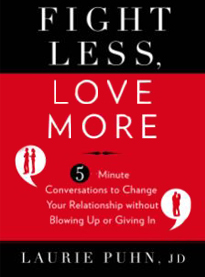 "When 'for Richer, for Poorer' is Put to the Test"
Love More and how to change your relationship in 5 minutes. balance and whether women can have it all. On TV: The Bill Cunningham Show. "Quit Cheating or We're Through!" hits at 34 minutes into the program). Laurie returned to "Imus in the Morning"
Laurie appears on "Live from the Couch." discussing "Fight Less, Love More"
Should marriages last 7 years? Laurie on CNN "Tips from the Top"
"The Top 5 Dumb Arguments You and Your Honey Must Avoid"
Click to listen to the clip. and Weekend Today in NY. Fox Business Channel's "Imus in the Morning"
Fox News Channel's "Your World with Neil Cavuto"
Fox News Channel's "America Live"
America's Newsroom with Megyn Kelly and Bill Hemmer regularly seeks Laurie's relationship communications advice and family law and mediation expertise for their entertaining and informative "News You Can Use"
The Live Desk with Martha MacCallum's A-list Panel regularly invites Laurie to join the A-list where she discusses current events, legal topics and communication gaffes by politicians and celebrities. Studio B with Shepard Smith interviewed Laurie about new surveys on marital communication. The Big Story asked Laurie to discuss why Senator Clinton and other women stand by their cheating husbands. Fox and Friends Weekend asked Laurie to explain why 1 in 5 marriages end before the 5th Anniversary and what to do about it. Disorder in the Court regularly asks Laurie to comment on the courtroom drama of noteworthy trials. 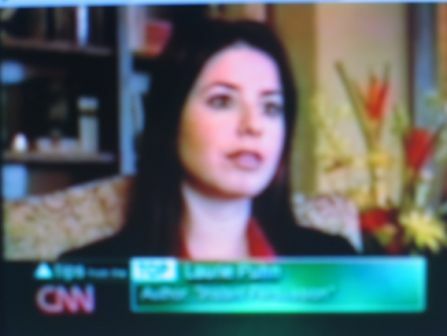 CNN Headline News asked Laurie to discuss legal topics in the news. CNN's Tips from the Top filmed one of Laurie's speaking engagements and featured her unique brand of persuasive communication advice. ABC's 20/20 interviewed Laurie on rudeness in America and its affect on marriages. Weekend Today in New York asked Laurie to discuss her book "Instant Persuasion." Rachael Ray asked Laurie for quick mediation tips anyone can use to improve their marriage. Channel 11 Morning Show asked Laurie to discuss how to be persuasive at work and at home to get what you want. Hallmark Channel's New Morning asked Laurie to discuss communication advice to create peace in relationships. Laurie is a contributing expert on First Wives World where she is interviewed and writes on mediation and divorce issues. NPR'S LEONARD LOPATE SHOW interviewed Laurie on her book Instant Persuasion and how mediation techniques can help us solve problems at home and at work. WOR MORNING SHOW asked Laurie to discuss the biggest blunders made by newlyweds. THE DAILY BEAR nationally syndicated radio show asked Laurie to discuss Senator Barack Obama's unique persuasive and mediation skills. WAKE UP WITH WHOOPI interviewed Laurie time and again on a variety of topics including how to make a memorable first impression, how to persuade your boss to give you a raise and how to improve your relationship with better communication. *Laurie is a contributor to GOOD HOUSEKEEPING. "Sick of Bickering? Take this marriage advice to heart" Read the article here. THE NEW YORK TIMES interviewed Laurie on persuasive communication in the workplace to handle difficult conversations. THE CHICAGO TRIBUNE called Laurie and asked her to comment on rudeness in society and how it impacts our relationships. DIVORCE360.COM asked Laurie to discuss the 5 signs that your marriage is on the rocks. The ROCHESTER DEMOCRAT AND CHRONICLE called and asked Laurie to comment on why Silda Wall Spitzer would choose to stand beside her man during his resignation speech. COSMOPOLITAN asked Laurie to discuss what to say and not say on a date. REAL SIMPLE asked Laurie to discuss how to say no to a friend who asks for a loan. OK! MAGAZINE called to interview Laurie on celebrity relationship blunders. GOOD HOUSEKEEPING interviewed Laurie on how to ask for a favor. REAL SIMPLE interviewed Laurie on conflict resolution strategies in relationships. REDBOOK asked Laurie to discuss her book "Instant Persuasion." THE PHILADELPHIA INQUIRER asked Laurie to discuss why friends lie to each other. 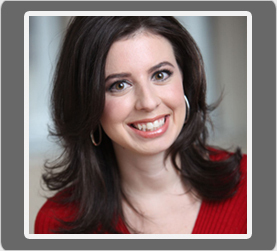 BOTTOMLINE PERSONAL interviewed Laurie on the top persuasion tips to get what you want. MARTHA STEWART LIVING asked Laurie to share advice about how to handle difficult relatives during the holidays. TEXAS REALTOR MAGAZINE interviewed Laurie about influence and the little things that win people over. highlights "i on NY with Laurie Puhn." "Rising Star on the Fast Track... Laurie Puhn Strikes a Cord"
Home | The Author | The Books | Articles and Blog | Fight Less, Love More The Course | Media | Institute | Contact Us Copyright © Laurie Puhn 2010. All rights reserved.